Palmer was born in the little Lincolnshire town of Market Rasen on 10 February 1880. He went to university in Birmingham and Bonn, and made his living in his twenties and thirties by teaching, tutoring and lecturing, especially for the Workers' Educational Association. 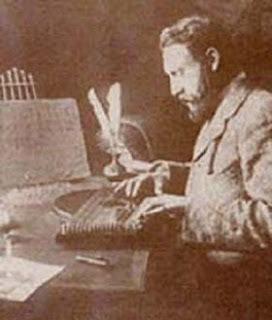 In 1921 he took up journalism and other writing full time: besides his poetry, he edited anthologies, published a book on teaching English, and undertook some translations. A Collected Poems was published in 1933 and a late blooming, The Ride from Hell, came out in 1958. Herbert Palmer died on 17 May 1961. 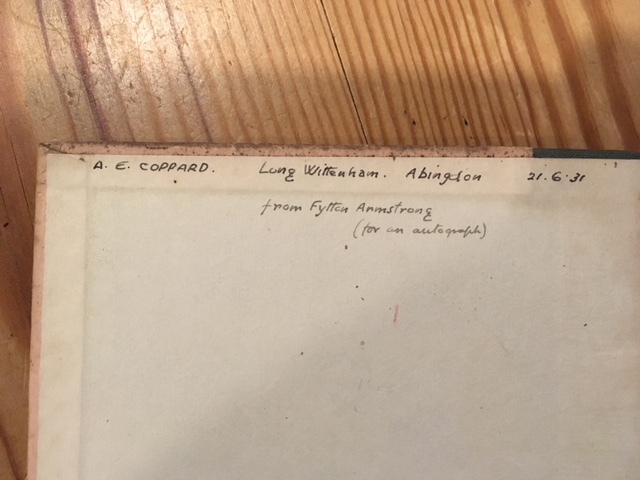 His literary executor, Alan Denson, compiled Herbert Edward Palmer (1880-1961): a bio-bibliographical survey and calendar of recordings, with a foreword by Phoebe Hesketh (Oliver Alden, 1994). Twenty-seven boxes of Palmer’s papers are in the archives of Senate House library, University of London, including correspondence with W. B. Yeats, Roy Campbell, Constance Sitwell, Walter de la Mare, John Middleton Murry, Muriel Spark, Robert Bridges, Lord Alfred Douglas and George Bernard Shaw. Herbert Palmer’s verses are archaic, arcane and declamatory. Several have macabre themes, such as The Vampire (1936). His chief weaknesses to the modern reader are a fondness for antiquated wordage and a reliance on easy, obvious rhymes. But sometimes the fervour and fierce feeling in his poems transcends these traits and we get a real sense of a powerful imagination haunted, even harried, by the forms of gods and demons. In Autumn. A Poem (privately printed, 1931). 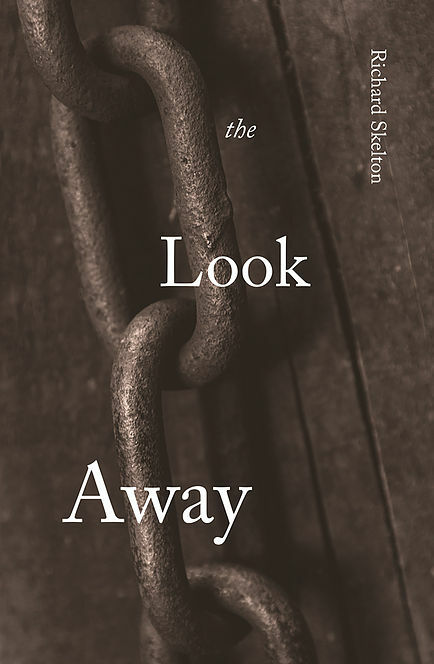 The Look Away by Richard Skelton (Xylem Books) is an austere and powerful novella about a fugitive in remote country in a world of dark truths and bleak, whittled beauty. It is a study of isolation and the stark facts of survival, yet it is also attentive to the brittle transience shared by all living things, and how this gives every moment an intense significance. The writing is compelling and insistent and makes a deep impress upon the reader. This is Richard Skelton’s first long fiction and possesses all the haunting, mesmeric qualities of his music, poetry, film work and essays. 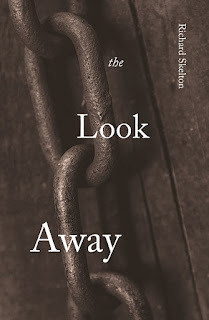 The original limited edition sold out it in days but now The Look Away is available again in paperback. These are indeed titles to beguile the connoisseur of rare and strange works. The first must have been The High Deeds of Finn, and other Bardic Romances of Ancient Ireland by T.W. Rolleston, with an introduction by Stopford A. Brooke, and with sixteen illustrations by Stephen Reid (London: Harrap & Co, 1910). 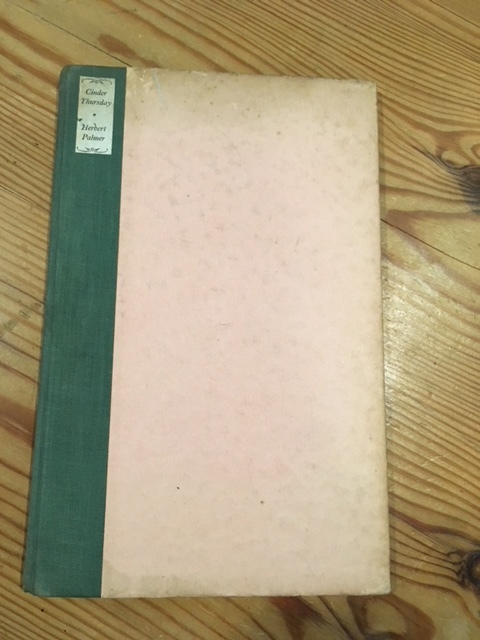 This was one of several books of heroic romance that Rolleston wrote for Harrap: there was also Myths and Legends of the Celtic Race (1911), Parsifal; or, the Legend of the Holy Grail, Retold from ancient sources with acknowledgement to the “Parsifal” of Richard Wagner (1912), and The Tale of Lohengrin, Knight of the Swan, after the drama of Richard Wagner (1913), these last two with artwork by Willy Pogany. It is no surprise that Dunsany would have been drawn to the ancient Irish tales, but what of the other book Colum names? The book in question must without a doubt have been A History of the Eastern Roman Empire, from the Fall of Irene to the Accession of Basil I. A.D. 802-867 (London: Macmillan & Co., 1912) by John Bagnell Bury (1861-1927). It will be seen that Colum had indeed not got his Byzantine sovereigns “in right”, since the fall was that of Irene and the accession that of Basil, and not the other way about as he has it, and the Emperor Basil was the first and not the third of that name. But I wouldn’t put it past Colum to have juggled his potentates on purpose for greater euphony or peculiarity. Further investigation of this historian’s catalogue reveals other titles of interest. Dunsany would perhaps also have known his edition of the early Irish chronicle of The Itinerary of Patrick in Connaught, according to Tírechán (1903). On the other hand, The Invasion of Europe by the Barbarians (London: Macmillan & co, 1928) sounds just like an episode passingly told in one of Dunsany’s histories of fallen kingdoms and vanquished cities, when the gods happened to be looking the other way. The same historian’s The Imperial Administrative System in the Ninth Century, With a revised text of the Kletorologion of Philotheos (London: Oxford University Press, 1911) may not at first glance sound quite so thrilling as the rise and fall of empires and emperors. Yet it certainly may lead us to wonder what exactly was or is a kletorologion and why we have not encountered one before. It transpires that it is a document giving the order of precedence of all the office-holders in the Byzantine Empire, whether bearded men or eunuchs (such was the distinction made). It was compiled to assist in ensuring they were all seated with the dignity proper to them at the imperial table. It also offers advice on the procession of the banqueting year and other useful information related thereto. This sounds quite Dunsanyesque too, and it would be possible to imagine a tale in which some slight mis-ordering of the imperial guests results in strife and discord and the tumbling of dynasties. This book is replete with recondite and rather rococo detail. In contemplating the elaborate Byzantine hierarchies, Mr Bury provides some diverting footnotes. For example, we learn: “The Protovestiarius descended from the old comes sacrae vestis of the fifth century. He presided over the private wardrobe (sacra vestis) of the Emperor, to be distinguished from the public wardrobe which was under the Chartularius.” Who could doubt it? We may look in vain, however, for such surely essential appointments as the acolyte of the imperial cats, and the Lord High Librarian. But, now, what was the Chrysotriklinos? Why, it was the great domed throne room of the Emperor, in which the golden throne was guarded by two golden lions and crested by a golden banana tree with bejewelled birds perched among its leaves. Even the many refulgent palaces of Dunsany’s tales could not perhaps quite compete with that. Curiously enough, Dunsany's own book titles are rarely of the same resonance as those he apparently admired. The Gods of Pegana is perhaps not so far off the mark, but Fifty-One Tales might be regarded as somewhat plain, while even The Book of Wonder and A Dreamer's Tales itself are not exactly richly ornate. Instead, Dunsany reserved his echoing prose for his story titles, and certainly there are those, such as "The Fortress Unvanquishable Save For Sacnoth" and "The Fall of Babbulkund" which might indeed compete with the high deeds of Finn and the accession of Basil I. Picture: T W Rolleston (with thanks to The Offaly Historical & Archaeological Society).